Ghostbusters Premium. 38 plays. I installed a playfield protector before ever playing game. I have about $500 in mods including: Custom shooter rod, Pin blades, speaker inserts, Lermods Eco car (not installed), trough led mod, led scoop mods, custom flipper bats, all new Titan clear rubbers, all Cliffy protectors, clear plastics protectors, SHaker Motor, Pro model translite (installed) but includes Premium traslite and more. $6950. Open to trades. Some I am interested in: Demolition Man, 007, Ripley's believe it or not, etc. Let me know what you have? These are dawasa's all time market stats. Flawless condition. No insert issues or cabinet issues. Still probably better than most of the GB PF's out there, but it's not 100% accurate to say "no insert issues". 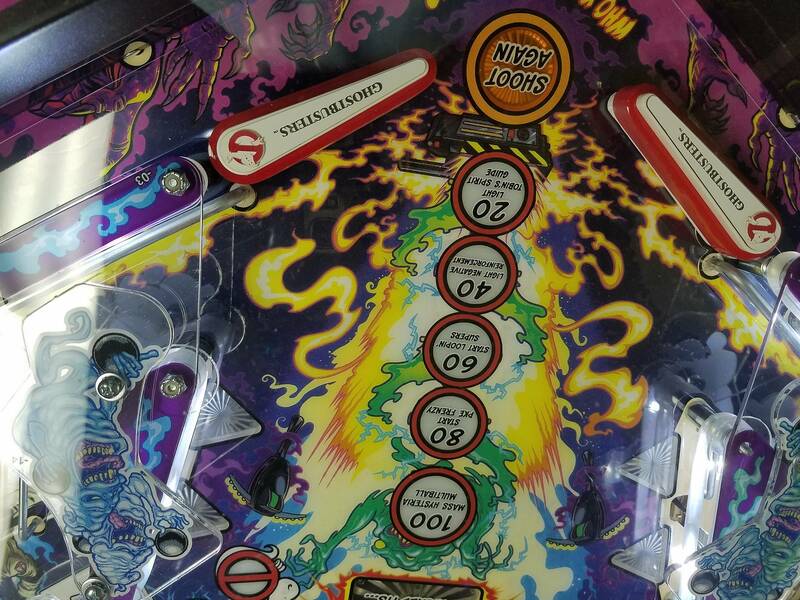 The Tobin's insert can be seen on preview without zooming in. Trade for cq wof plus cash? I would totally do WOF and yours looks awesome, but I already own a WOF minus that cool powder coating. Thanks though. Anything else? 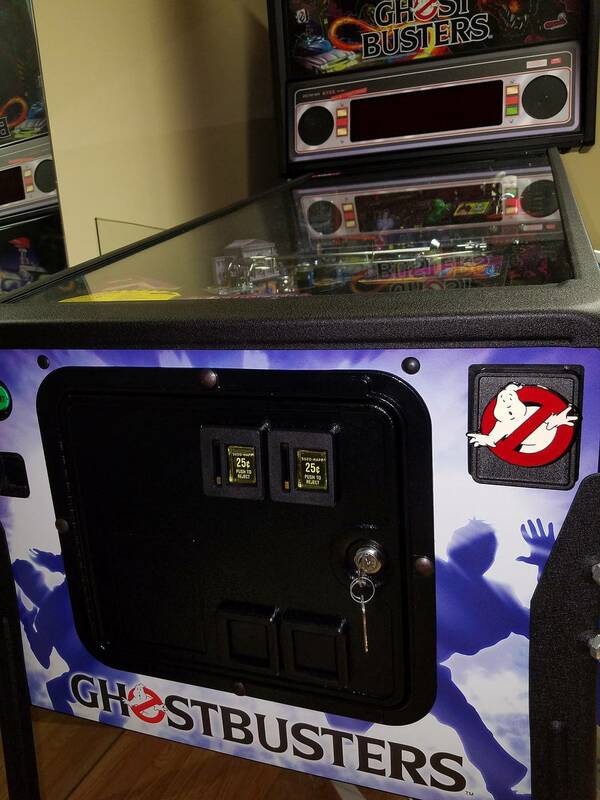 The 5th photo shows what looks like a Ghostbusters Pro translite. +1 on this as you can clearly see ghosting. That being said I think the ghosting is totally overrated and would have no issues buying what appears to be a basically brand new game but this is just misrepresentation. Tobins is the most common. I had an le that had the exact same Tobin insert ghosting as this one. 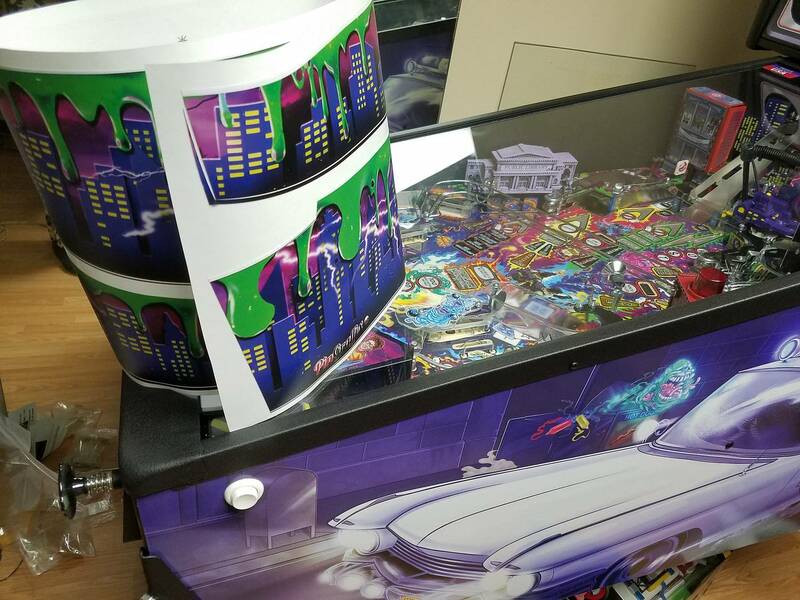 Every other insert was perfect. Yes, I liked the pro translite better, so put it on game. I still have Premium translite. Sale includes both. Good eye! I didn't think it was as extreme as others I've seen, but I will change wording. All others are fine, but buyers can certainly inspect for themselves or request close up pics. What does that mean, the buyer needs to request close up pics of every insert? Why is that the buyers responsibility to bring that up? There’s ghosting - hopefully just on 1 insert but there could be additional ones, yes? You’re asking almost 7 large for it (firm on your price), I’m interested just nervous that I won’t ask the “perfect” question to see if everything else is mint. I inspect games I buy and request pics of area I may have concerns. I am happy to provide any pics. 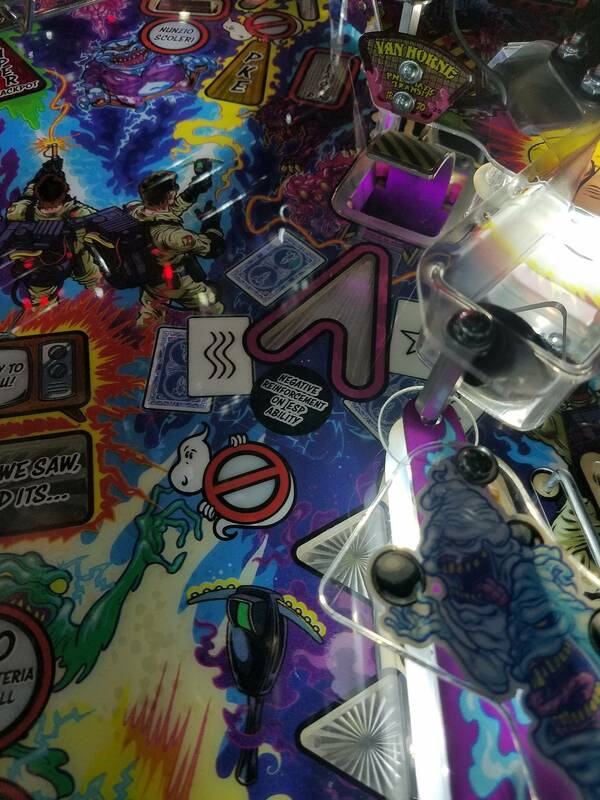 If almost 7 large for a game with 30 some plays with a playfield protector which took me 10 hours to install, that prevents ball damage etc seems outrageous to you, then by all means KEEP IT MOVING. I don't want your interest. I am sure you will find a premium with less plays for 4 large in your neighborhood. 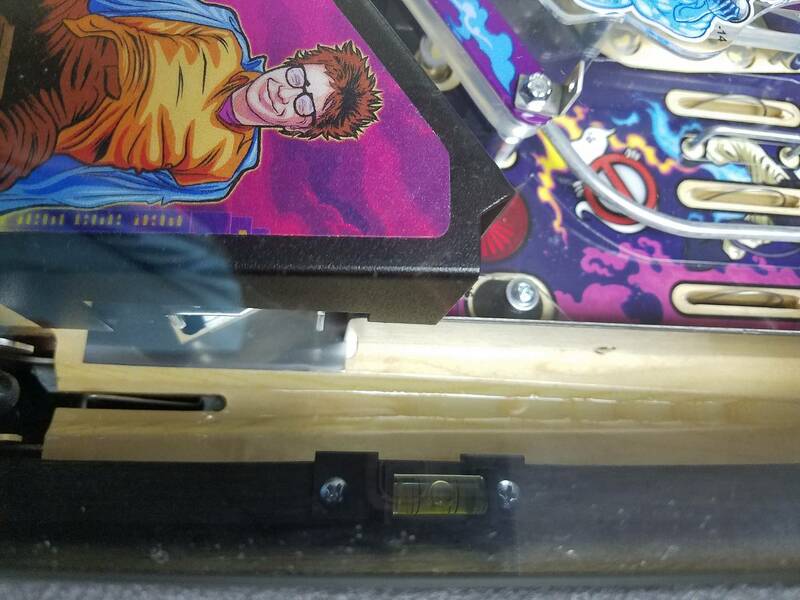 I now understand why I have encountered some Pinsiders selling on Craigslist. Too many people trying to police things and thriving on drama. Classy. Clown answer. Being defensive doesn’t usually mix well with successful selling. MOVING ON! Oh, and..10 hours to install protectors? Perhaps this isn’t the right hobby for you..
Oh, and to the OP, don’t send threats through the pinside email...not cool. I think op has been more than rational and Michael needs to move on. GLWTS op. This is a LIE. PLEASE POST A SNAP SHOT OF MY THREAT! YOU CAN'T, BECAUSE YOU ARE LYING. You are just trying to justify exactly what I have been saying; member of the Pinside Drama Squad. If you don’t like drama, why create a thread with your listing? Posting or discussing info in a PM is a Pinside rules violation. I am officially requesting that you both keep these discussions in PM. I wouldn't mind a GB Prem, but this is more than I'd like to pay. No offense to your price, I'm not judging that. My question is why only 38 plays with tons of mods. For me, with a new game, that would be maybe 2 days worth of playing. Are you just a mod designer and needed the machine, or does the game just not speak to you? Or option "c"? I'm positive I put at least 50 games on in the first day of owning a game. Even if I get home late with it. That being said, GB is a lot of fun, and if it didn't click with one person someone else will love it. I have a large collection of about 45 games. I bought this game nib. Played my friend's GB premium that he opened first. Decided I loved it, so decided to install a playfield protector to prevent ball dimples because I expected to own this game forever. See my link above showing pics of all the work involved. Reason for so few plays is I am self employed and work has been relentless. I also have a 4 year old that gets all my attention, she is my only child. So getting home after 10 to 12 hrs of work, my wife needs me to help around the house and take care of our daughter before bed. Not to mention the other 40ish games sitting around. 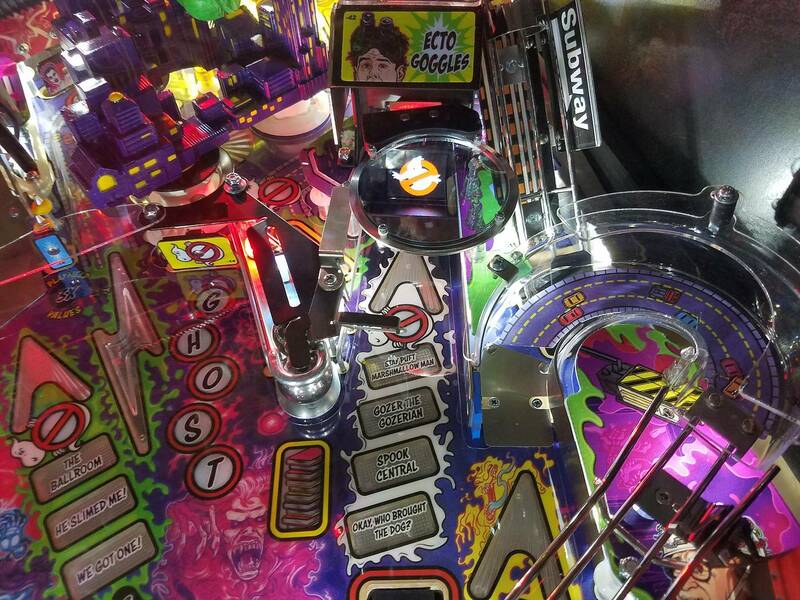 I simply don't have the time I would love to have for pinball. GB is an awesome game. I modded it to keep it. If no one is interested in it, I have no problem keeping it. 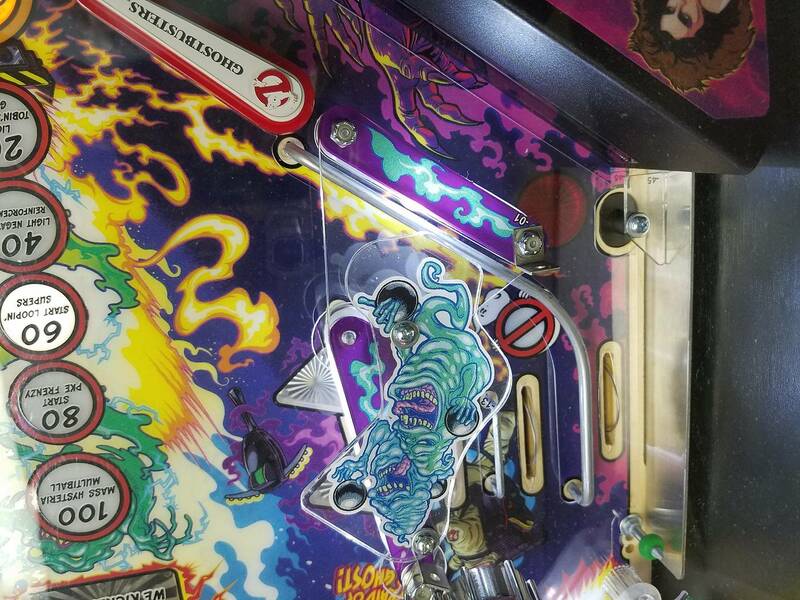 I just haven't bonded with it because I have so little plays on it, and my wife requests that I reduce the amount of money I have in pins. So it makes sense a more expensive game goes. That's cool. Thanks for the reply. I've only played it a few times, liked what I played. Good luck, if I had more to burn I might over at your house. OK - I'm interested now......can you at least confirm if this guy sent a threatening PM to the other guy? I would like to see who's lying here. That's such a D move if someone says you PM'd them with a threat meanwhile that never happened - likewise if some joker threatened someone via PM, also super D move. He lied and could not present evidence as I requested. Pinside noted on his post that it was a violation. But I guess his LIE achieved the result he intended; damaging and causing my character to be questioned. I am sure Pinside has access to both of our PMs and can see I never PMd him at all. It would have been justifying if Pinside would post in here the truth and set the record straight for all. I don't understand how they moderate the website and do not make a point to clarify the truth and punish that kind of behavior? Discussions brought to PMs are private between the two parties. This is why we moderate posts that reference anything quoted from a PM. Please review Pinside rules if you have any questions. Moderators do not have access to your PMs. Ok. I didn't know that. Too bad in this case. 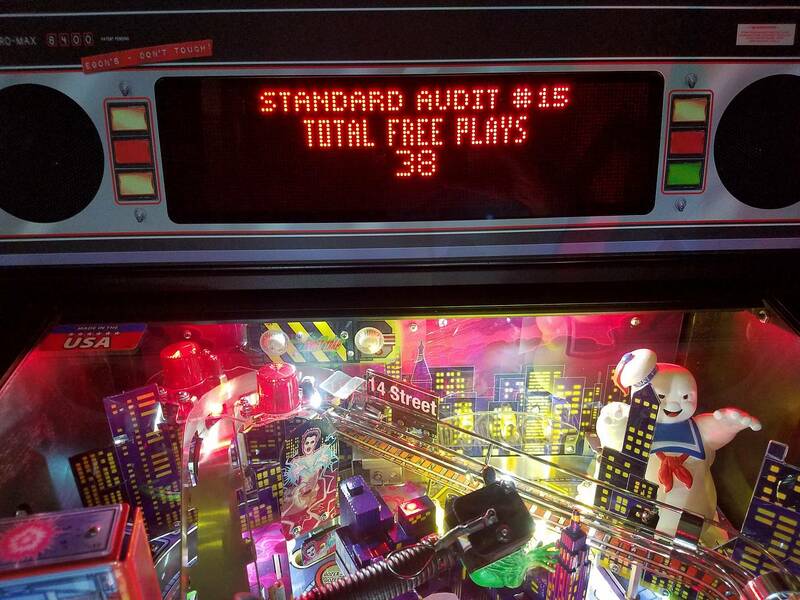 Standard Audit #16 (not #15) shows the Total Plays. Not exactly sure what the difference is, but #16 more accurately reflects the # of plays. And of course, this resets whenever the code is updated. Oh wait... that was a low blow... sorry. 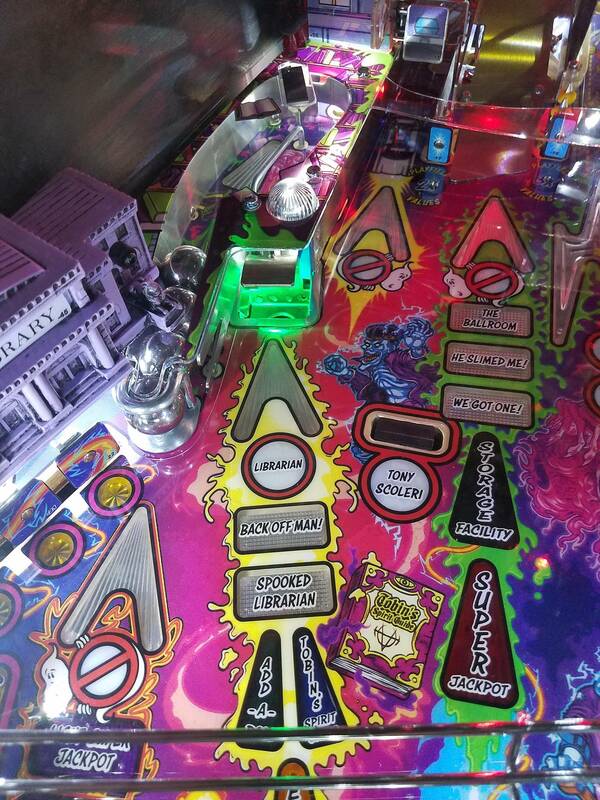 But with the playfield protector I doubt it would make a difference if it were 10x this many.